If you want to travel morebut don’t want to give up all the fun you’re having today, there are things you can do to budget better without sacrifice. The smallest tweaks to your current routine enable you to do more with less. You can have the time of your life at home and away from home on every trip you take. Have a small percentage of your paycheck automatically deposited into an interest earning savings account. Without giving it a second thought, you’ll have amassed a significant amount of money in a short period of time. If you can find a bank account that pays interest, it’s an even better option for you. The longer you save, the more money your savings earn. That means more travel experiences in the future. Save money on accommodations by becoming a member of Xpirient. Discounts and premium services await you with an exclusive membership to our incredible club. If saving money on accommodations all over the globe appeals to you, you’ll find value in what we have to offer. The more you save, the more you’ll be able to afford to travel in the future. That’s an incredibly empowering feeling. Sign up for last minute travel deals. Do your part to sign up for every airlinemailing list you can. That way, if there are any sales or last-minute deals, you can take advantage of them. A few seconds of your time can result in significant savings throughout your lifetime. Pay close attention to the email headlines so you don’t miss out on the best bargains. Don’t spend your change. 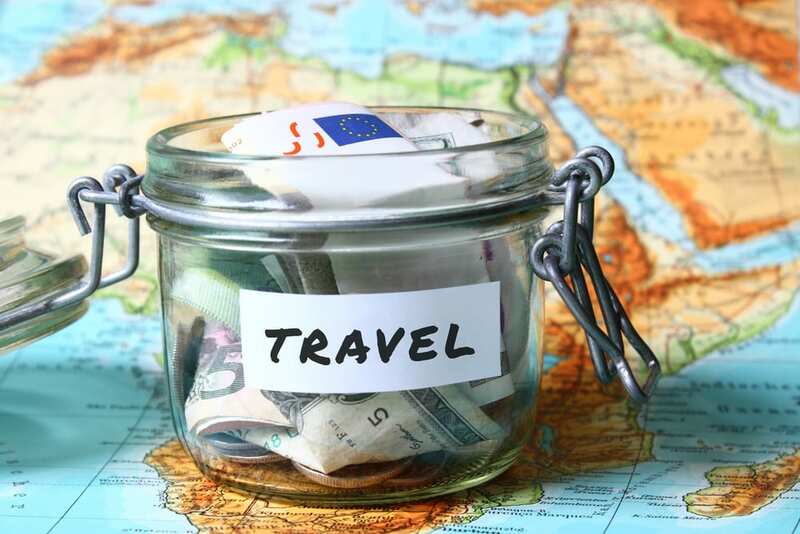 Start keeping it in a bank or jar that you’ll cash in before your trip begins. You’ll be amazed at how much money you’ve accumulated in a year’s time. That money can be used to pay for some of the things needed for your trip. You’ll be able to knock a few expenses off your list by simply keeping your coins and cashing them in at once at the bank or a Coinstar location. Monetize your blog and social media accounts. If you travel a lot, you’re sure to spend time in beautiful locations. Share what you’re experiencing by starting a blog and social media accounts that focus on traveling. You can make money off your efforts. You’ll also build a personal brand identity which helps you locate free and discounted opportunities from companies around the globe. Serving as an ambassador for the businesses could be very lucrative financially as some are willing to give you free things in exchange for posts on Instagram, Facebook, and your blog. You don’t need to sacrifice comfort for the sake of traveling more. You can enjoy life now and still have the funds to travel often in the future. All you need is a plan and a membership with Xpirient. You’ll find it pays for its self when used often to book discount hotels and lodging throughout the world.